30 inch snood, 36 inch rig body, max; the difference between the 2 only needs to allow for tensioning; 6 inches is within Pythagoras' triangle theorem, so bait should bottom. With the rig 'set' (engaged with the weight) a bead 6" away from the pulley on the snood side would stop the hook length moving too near the pulley when its released and the weight is gripped. Last year I used the up and over pulley rig for a long snood on the Mersey to make sure the bait was on the deck. There are a quite a few variations on google images to choose from I chose the simplest. Works fine but not for the Mersey, it was finding all the snags. It would be great on a cleaner beach. The pulley is just for the cast then when the rig goes slack the cascade swivel drops out the smaller swivel allowing the bait to fished on the deck. Unless you need the pulley rig to help with landing big fish over rough ground then the dropper is the way. Credit, picture is from a google image of sea dangled magazine. If I am after cod I try to keep the snood as short as possible.A long snood is liable to waft about possibly up off the sea bed in my opinion.The cod has that barbule on his chin to detect movement as he moves over the sea bed.I once had 5 coddling at THS on the ebb using a small french boom placed right on the lead and a 6 inch hook length using whole squid as bait.Do what you think will work for you. I use pulleys a lot and usually use about 36" snoods, but I prefer to use an impact shield with it so no casting strain is put on the hooklink or hook. Works great for me and good if you are using bigger baits too. Here's another image of the pulley dropper. 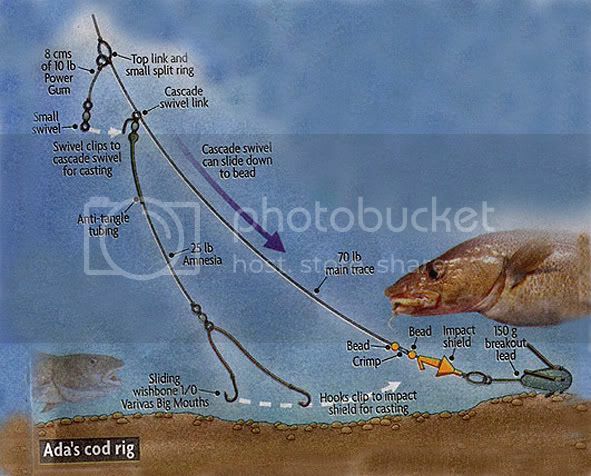 With the weight of a fish on the hook end, and the tightening up of the mainline during the retrieve, your weight/sinker will be lifted clear of the sea bed. Though of course you get a similar effect with an up & over rig if you position the hook snood at the bottom of the rig body. 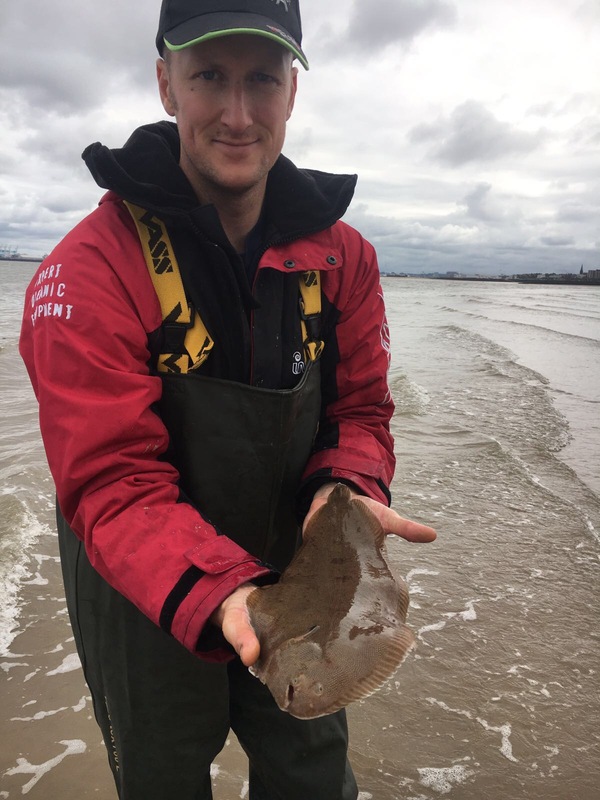 Kev, I would say I use a pulley rig for pretty much 100% of my fishing on the Mersey, apart from the matches sometimes obviously as we have a three hook limit, but even then if I am going for a Codling or a Ray in the match I will still use one. It is without question my rig of choice for the Hounds in the summer and the Codling in the winter. One thing I have found however is the rig perfoms a lot better fished with a single hook on the snood rather than a Pennel as I believe the two hooks in the bait make the snood twist in the tide run which can potentially then twist the rig which means you are not fishing effectively. In terms of rig length, for the hounds and the Codling I will use a metre of Sakuma 50lb rig body tied to an IMP which I will then thread on a Breakaway pulley clip (these are fantastic and so easy to double pat with to your shocky link) I use a size 8 swivel on the other side of the pulley clip and my snoods are either 20lb/30lb clear Amnesia. My snood length is no more than 2 inches shorter than the rig body, just short enough so you can tension the rig under the IMP. I use a Sakuma Manta 2/0. 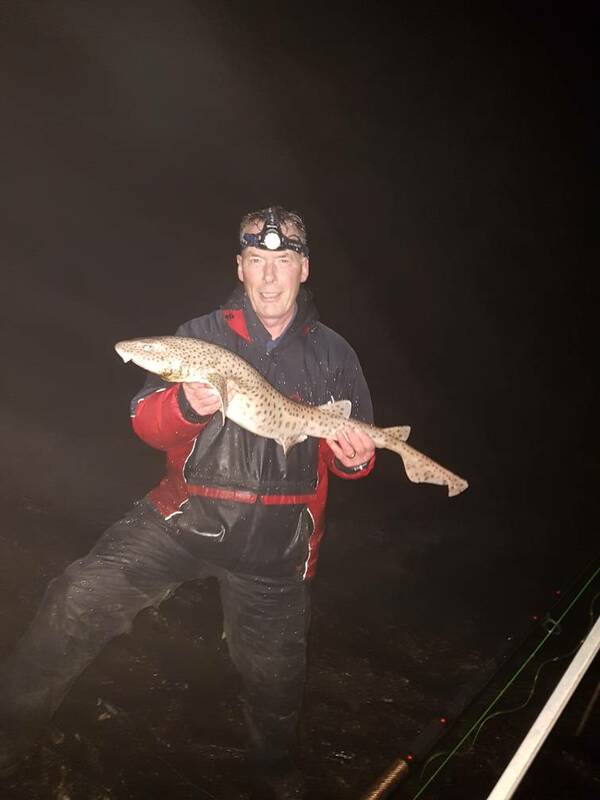 If a fish of any size takes your bait then it immediately dislodges the lead and as such the fish comes up in the water which is why the bites you get on this rig are initially a slack line indication followed by the familiar nodding of the rod tip as the fish moves in the tide. If I was going with you on Sunday fishing that ground I would definitely be using pulley rigs.